What is the best fat blasting workout? Cardio, of course! But did you know that the two common cardio machines, treadmill and elliptical, target different muscles and give different results? By understanding which part of your body these two machines work on, you will be able to take an informed decision on which machine to use. This will help minimize injuries, aid weight loss, improve muscle tone, and strengthen your core. 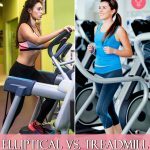 This article lays out the pros and cons of treadmill and elliptical. And makes it easier for you to know which one’s best for you. Read on! You can use the treadmill to walk (slow or brisk), run (at 6 mph), or sprint. You can also use the incline option to add resistance to your workout. Running requires you to engage your core and activate your ab muscles. And that helps your body to be balanced and prevents you from falling off. So, if you run for, say, 20 mins, your core is engaged the whole time. By practicing it regularly, you will build a strong core, which will improve your posture, tone, and exercise stamina. Running at 8 mph for 20 minutes may help you burn about 200-300 calories. The treadmill can help you blast the fat and slim down. The number of calories burnt also depends on your body weight and degree of incline used. 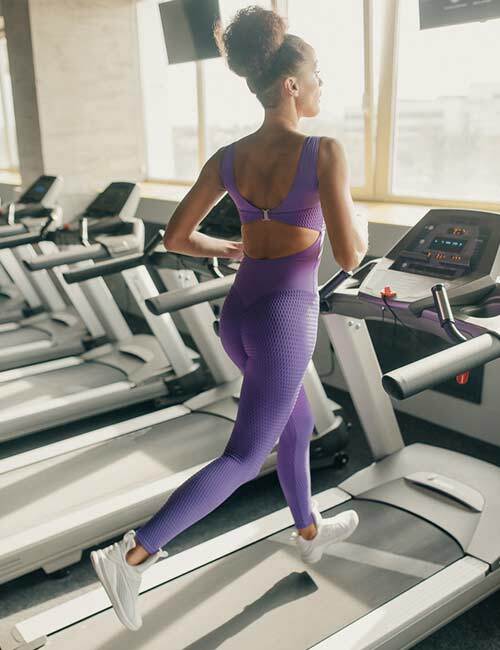 It is best to keep your treadmill at an incline of at least 3 degrees and run intermittently (run at 6 or 7 mph for a minute and then at 13 or 14 mph for 10 seconds). Walking and running are something that we are so used to doing every day. So, when you hop onto a treadmill, it will just take you a few seconds to get used to the moving platform. And then, it will feel all natural. This comfort and ease of use will quickly make you like walking or running on the treadmill. Walking or running on the treadmill targets your calves, hamstrings, quadriceps, glutes, abs, and heart muscles. So, it is a great workout for your lower body. If you have excess fat accumulation in your lower body, running intermittently on the treadmill will help you lose the flab effectively. Running requires you to balance on alternate legs. This means that your legs bear the weight of your body alternately. Plus, the incline and speed of running exert double or sometimes triple the weight of your body. Running with correct posture on alternate days strengthens the bones. Running and walking briskly on the treadmill helps pump up your heart rate and activates the lungs, which helps improve the health of your heart muscles and increases circulation. Over a period, you will be able to run for a long duration without going out of breath. In fact, you will be able to do any other type of cardio (like playing an outdoor sport) without feeling out of breath too soon. Yes, there are many benefits of running or walking on the treadmill, but there are also a few disadvantages that you should be aware of. Here are the cons of using a treadmill to burn calories. The size of the belt may cause you to change the way you walk or run. And over time, it can cause posture problems that may lead to lower back pain and joint pain. Running fast on the treadmill or slowly for a long duration can be tough on your knees. That’s because your knees have to bear double or triple your body’s weight. They also absorb shock from the impact of your feet touching the platform. Walking or running on the treadmill is a great lower body workout. But only that. It might feel like a whole body workout, but if you think about it, running on the treadmill doesn’t target your upper body muscles to a great extent. Running or walking on the treadmill may cause muscle loss. And that’s because when you do cardio for a prolonged period, to fuel your activity, the cells start breaking down protein (of course, after glucose and muscle glycogen are used up) and converting them into glucose (through gluconeogenesis). And if you do not have a good proteinaceous meal post workout and do strength training every alternate day, you will lose muscle mass. And that can deteriorate your body tone. Not every exercise is meant for everyone. You might kill it when it comes to running in the field, but you might feel dizzy when it comes to running on the treadmill. Running at high speed and the need to change the speed of the belt can also increase the chances of falling and hurting yourself. So, does that mean you should steer clear of treadmills? No! Here’s when the treadmill might be useful. You want to walk or run as a warm-up session before heading off to do other exercises. You need to lose extra flab from your lower body. Use it once or twice a week for 20-30 minutes to burn fat and include strength training to prevent muscle loss. You are in a rehabilitation program, and walking slowly on the treadmill helps to strengthen your muscles and bones. You must be supervised by a professional. You want to run, but it is not possible to go out for a run. You are stressed out or depressed, run on the treadmill for 15 mins at 8 mph. You have recently injured your knee or have plantar fasciitis or lower back pain. You have just had heart surgery. Your physician does not allow you to use the treadmill for walking or running. Tip: Always wear good running shoes while running on the treadmill or outside. Now, let’s look at the pros and cons of the elliptical. 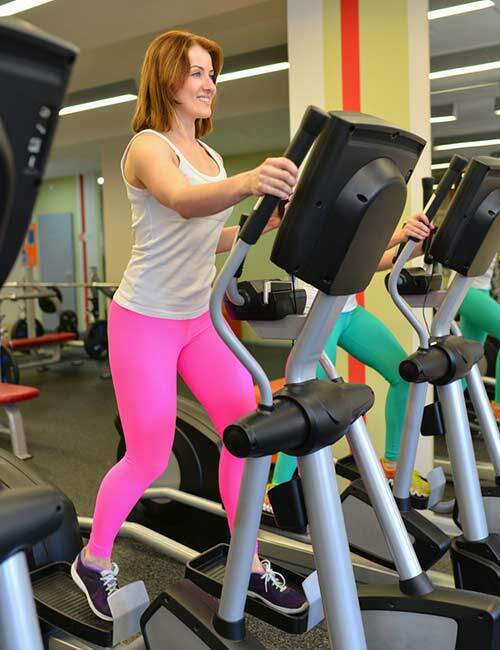 Cardio on an elliptical machine puts less pressure on the bones, especially the knee joints. This machine emulates the movement of climbing the stairs or cross-country skiing. So, you do not have to stomp your feet on the belt or floor, and that will save you from injuring your knees in the long run (literally!). The elliptical targets the leg muscles and the biceps, triceps, lats, and the core. So, basically, you will get a full body workout that will help you tone up your body, strengthen your core, and improve balance. You can pedal reverse on an elliptical. That way, you will target other muscles and engage in a mixed workout that will get you great results. The elliptical helps burn about 200-300 calories in 30 minutes – which is the same as running on a treadmill. But with the elliptical, you will get a full body workout. The elliptical does not impact your bones and joints. And that’s good news and bad news. Running on the treadmill will help you improve the strength of your bones. But working out on the elliptical has less impact and does not help in making your bones strong. On a treadmill, there are options to increase the incline degree to add resistance to your workout. But, on the elliptical, because the pedals are high up, you do not even fully bear the weight of your body. So, there’s minimum resistance to your movement. When is it best to use elliptical? Let’s find out in the next section. You are over fatigued and need to do low-impact exercises. You need a mix of lower and upper body exercise. When is it best to avoid using the elliptical machine? Find out next. Avoid using the elliptical if your doctor says so. Tip: Make sure you are standing upright and not bending forward while using the machine. If you want to lose weight, you need to burn calories. And both the elliptical and the treadmill burn about the same number of calories. So, which one’s better for weight loss? Let me explain. 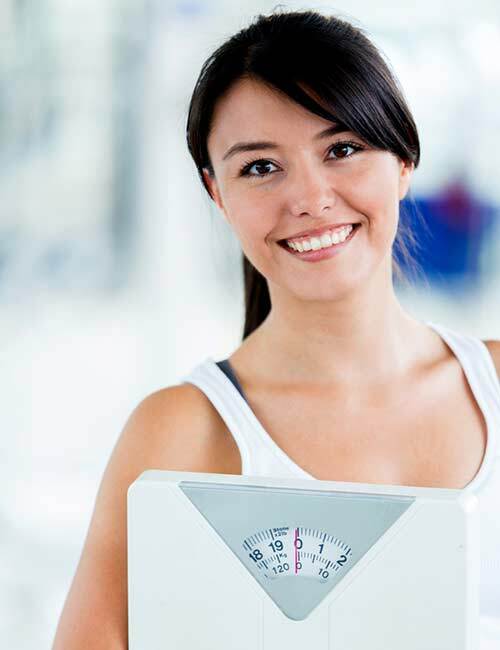 True, calories play a vital role in weight loss or weight gain. But that’s not the only thing about losing weight. Using a treadmill can help you burn almost the same number of calories as you would if you use an elliptical. But depending on your goal, you should decide if you need a full body workout or just a lower body workout. And that will determine if you should use the treadmill or the elliptical. Yes, you will lose weight with the treadmill and the elliptical, but make sure you also do strength training to preserve your muscles and improve the tone of your body structure. So, what’s best to buy for your home? Let’s find out. 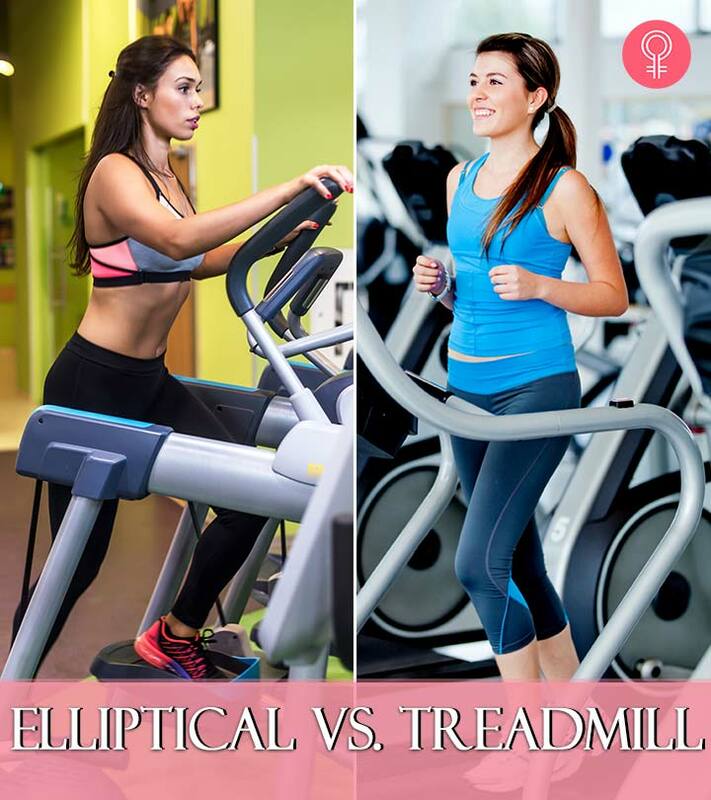 Treadmill Vs. Elliptical: Which Is Best To Buy For Your Home? The best cardio machine to buy depends on your fitness goals. If you want to prepare for an upcoming marathon, it is best that you buy a treadmill and use it effectively. But if you are recovering from an injury or have a weak knee, it is best that you opt for an elliptical machine. Treadmill and elliptical machines have advantages and disadvantages. But the main points to consider are your fitness goals and if you have weak joints or are recovering from an injury or surgery. To use these machines effectively, wear good shoes, maintain good posture, and do not overstrain yourself. Go slow and build your stamina and strength before attempting to do a full 30-minute or 60-minute workout on any of these machines. More importantly, listen to your body. If the pain is unnatural and sharp, stop. Take rest and do foam rolling. 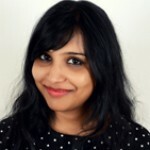 With these points in mind, I am sure it will be easier for you to judge what’s best, depending on your body’s condition – the treadmill or the elliptical. Have more questions? Please post them in the box below. Cheers!